Móda je pre mňa najmä o kombinovaní a zbožňujem kombinovať vzory a elegantný a grunge štýl. Síce som viac na elegantný štýl, ale nikdy nie až príliš, nechcem vyzerať akoby som išla do kancelárie. Takže náhrdelník som skombinovala s klobúkom a kanadami, čiže žiadny office look sa nekoná. Využila som pár teplých dní, čiže po dlhom čase je tu opäť sukňa od Tanye, ktorá vzorom skvelo dopĺňa mix&match s košeľou. Fashion is for me mostly about combining and I love to combine prints and elegant and grunge style. I´m more up to elegant style, but never too much, I don´t want to look like heading to office. So I combined necklace with hat and heavy boots, so no office is happening. I took advantage of few warm days, so after long time here´s again a skirt from Tanya, which is a great mix&match to shirt. Topánky, Tričko/ Shoes, Tank: ??? Looks pretty :) ,love the Necklace and the Hat! How cool, that you wear again the skirt from Tanya, dear Lia! And again you found perfect matching pieces for it ... which are underlining your style, which I like <3 Happy weekend! 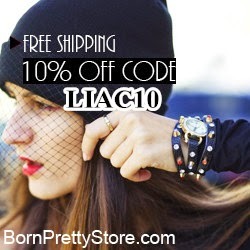 Lia you look gorgeous, you rock that style. I want that hat, it's TDF honey pie and it suits you perfectly. You look always so amazing, I like the way you combine different pieces! Amazing mix & match Lia, I love the aztec print of your skirt!!!!! your rocking those patterns indeed! awesome! Oh my. My phone is a bad corrected again. I means "Pearls". Haha not a petals duhhh:) I just wanted to correct it for my phone. Kissess. What a fun mix of prints! You look adorable! Very good combination, Lia! I like all the pieces separately and how you combined them together! Great outfit and I love the hat (x factor). Do not forget to enter the Jeremy Tarian sunglasses giveaway.